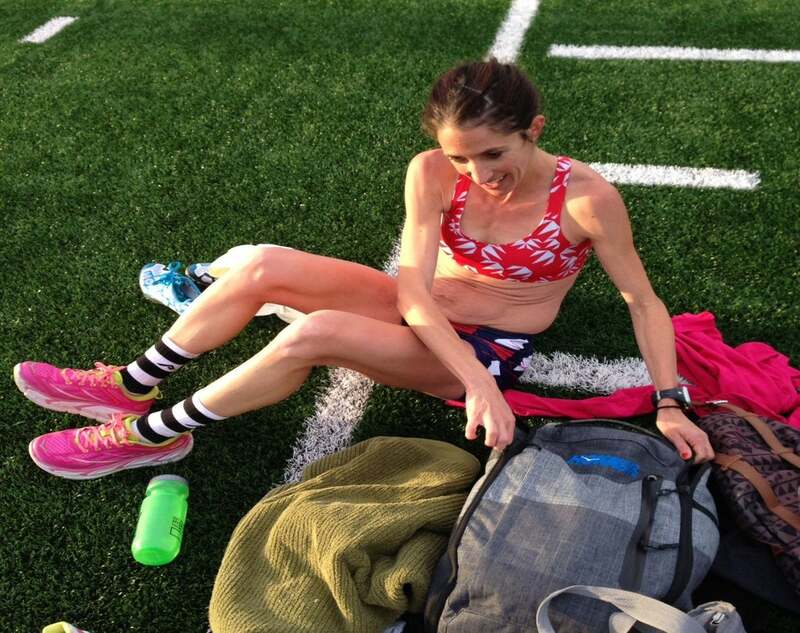 Elite runner Steph Bruce opens up on why she shares every moment—good and bad—of her training. The title of this blog sounded trite when I first wrote it. Living with our almost 2 year old son and 8 month old baby, I experience the value of learning to share on a daily basis. The concept of sharing sparked an idea in my head. Why did I decide a few years ago to share so much of my life and running journey on social media and with the world? 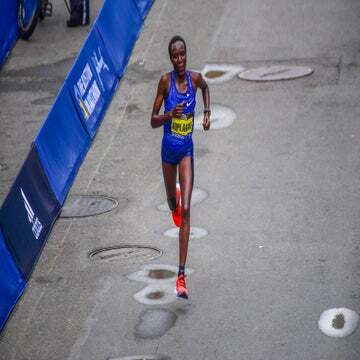 During the first few years of my professional running career, I did what I was expected to do. I trained my tail off day in and day out, took care of my body, lived a monk lifestyle and slept 9-10 hours at night. I pretty much ate, slept and breathed running. I put up results on the roads at US Champ, and at a few international races. I repped my shoe sponsor the best I thought possible, mingled with a few runners outside of the elite world and formed relationships with race directors and elite coordinators. In 2014 I took a break from competition to start a family. Over the next 18-20 months (baby #2 happened a little sooner than planned), I had a lot of time to reflect upon my career—what I wanted from it and what I wanted to give back. Running is not what I do. It’s who I am. I have learned so much about myself as a women, a mom and a person from the moments I’m mid-race in a 10k, 15 miles into a marathon tempo or on an early morning run after a rough night with my baby. I’ve learned running brings challenges both mentally and physically but it also begs you to keep coming back for more. You can be destroyed by a workout one day, vowing never to run again, only to wait for the sun to rise the next day so you can get back out there for an easy recovery run. There are days you’re dragging @$% and days you could set a world record (well, maybe a fantasy). 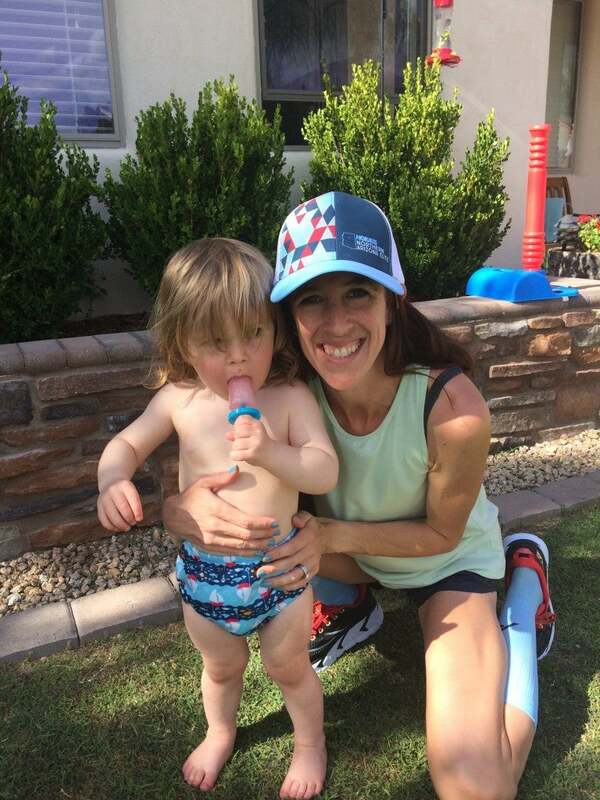 As a new mom I’ve experienced different challenges in my return to running and competition than I did in my early years. I have a new normal that is different to other pro runners I train with and and compete against. I could give 2 flips about things I used to worry about and get nervous for. I don’t have time to get nervous before some workouts or analyze why a certain workout went poorly. I’ve had to adapt to more time on my feet during the day, less sleep, less “me” time, more planning and more coffee. My body changed in drastic ways I didn’t think possible. My mindset changed. “Do other moms go through this? Am I running the same workouts my competitors are? Do they fear? Do they doubt? Do they worry how their stretch marks look? Do they have to change shorts after some workouts?” I wondered all these questions so I thought why don’t I share my experience in hopes others are going through the same thing. We can reach out to one another and be a sounding board. We can laugh knowing “that happens to her as well.” We can be serious in our athletic endeavors and goals, but also not take ourselves so seriously. In 2016 I’m training to try and make our U.S. Olympic Team on the track. I’ve had the support of my team Northern Arizona Elite, my sponsors Oiselle and HokaOneOne, my coach Ben and my fans. On July 2, I’ll be racing the 10,000m at the trials and have to be top 3 to make the team. I ran 32:14 in late March, just under the Olympic Standard in which you have to have run in order to be eligible to run in the Olympics. So did 20 other US women at the moment. I am 32, have 2 kids under 2 and will be 10 months postpartum at the trials. It’s not the most ideal preparation, as most of my competitors have had months and years of solid training behind them. But it’s me, it’s honest and it’s real. I will have had 7 months to prepare. I am scared I will fail but confident to try. I know my career won’t be defined by the result of July 2nd but I’ve been working everyday to make sure I can look back upon my training and know I’ve done everything in my control to be one of the strongest and most prepared with what I’ve got on the day. I began sharing my journey after my first son was born in June of 2014 because I thought if people could ride along with me and see the honest struggles and triumphs of a professional female distance runner, they can become fans. 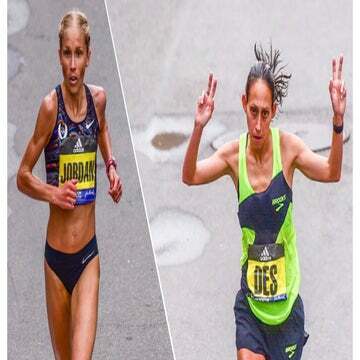 Fans of the sport of running, fans of female athletes and fans of the journey to go after your dreams. So I’ve been chronicling my life, training, coaching and raising babies on Instagram, Facebook and Twitter. I love all your comments, emails and messages. It’s keeps me going on the tough days and excited on the good days. Sharing the journey can leave you vulnerable to criticism, disappointment, embarrassment and raw exposure. But I believe it’s more real to see the daily highs and lows than the picture perfect radio silence for 6 months, culminating in an amazing performance of an athlete you know nothing about. Wouldn’t you rather be in the stands cheering for the people that you have seen working towards their goal for the last 6-9 months, even if they come up short and walk off the track in tears? You can feel that emotion, I know I can.